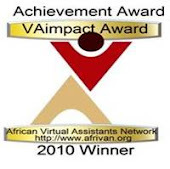 The first Virtual Assistant in South Africa to receive this recognition. South Africa – Alison Fourie, owner of AMF Typing Services cc announced today that she has qualified for the new worldwide Virtual Assistant Certification from VAcertified.com. VAcertified.com is the new standard for Virtual Assistant Certification which clients worldwide can use to benchmark the services they are looking for in a Virtual Assistant (VA). The first internationally recognized VA certification, VAcertified.com offers a carefully calibrated and unbiased assessment of a VA's skills, education, professional experience and industry contributions to gain business owners' confidence in the skills of certified VAs. To qualify for the certification, Alison was evaluated by 13 industry leaders and specialists from the four corners of the world on a broad spectrum of personal and professional traits pertaining to her expertise and professional ethic. Alison is one of thousands of Virtual Assistants (VAs), business owners who work from their own offices providing professional support , services and skills to their clients via phone, fax and Internet-based technology. Partnering with a VA reduces stress, protects cash flow, eliminates administrative hassles and enables business people to find the success they originally set out to achieve. Alison specializes in typing and assisting new VA entering the industry and is a home-based administrative professional providing various online services to her clients. She started her Virtual Assistance career in 2001 to be able to assist clients with office administration and typing and to assist newbie Virtual Assistants entering the industry and to spread the word about the industry around South Africa. My certification is important to me as I feel I have the experience, skill to be able to assist clients worldwide. I feel I can make a difference to new Vas coming into the industry by showing them how to get to the position that I am in now, I believe in sharing my experience with others to assist them so they want make the mistakes I made coming into the industry. 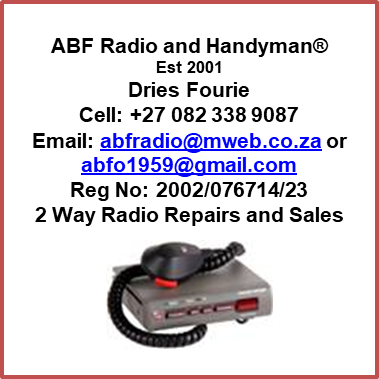 For more information about AMF Typing Service cc visit http://www.amftyping.co.za. About AMF Typing Services cc. Launched in 2001, AMF Typing Services cc specializes in typing and office administration. Visit the website at http://www.amftyping.co.za. 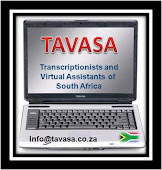 Hi, I am a transcriptionist in South Africa so also working in the virtual world and this is an excellent achievement on both a personal level and in bringing recognition to the virtual world in South Africa. Very well done. Proud to be comoderator of our forum TAVASA with you. It's so great for you Ali, as well as for the VA industry in South Africa as a whole. Congratulations once again. Services, they can even help with your business grow.